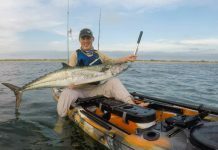 Home Stories People Why Did 3 Anglers Kayak Florida’s Longest River? 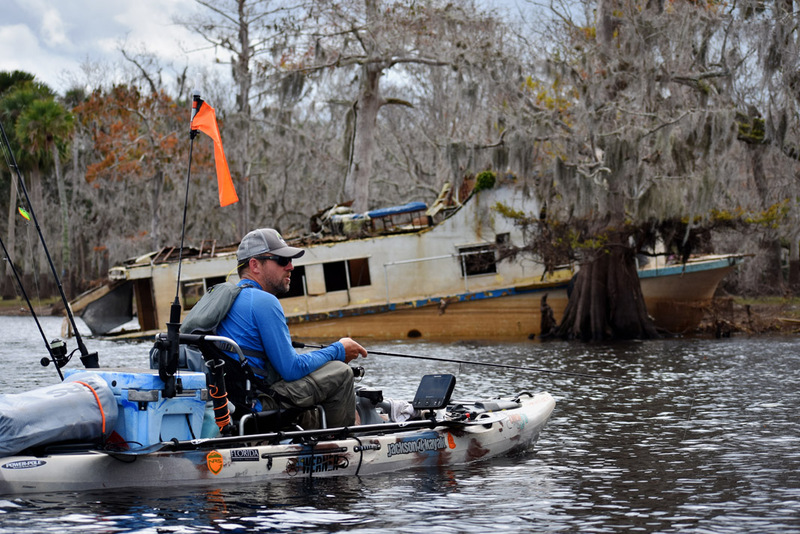 Why Did 3 Anglers Kayak Florida’s Longest River? 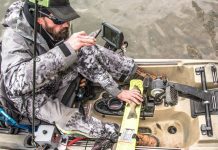 When Drew Ross agreed to join Bart Swaab and Ben Guise on a 26-day float down northern Florida’s wild St. Johns River, he didn’t know the water or one of the team members, but he knew he was paddling for a good cause. The crew was working with St. Johns Riverkeeper, a nationwide environmental advocacy group, to draw attention to the ecological healing of the historic waterway, which has been threatened by pollution and a growing surrounding population. On the expedition, the trio fished for dinner and camped each night on the lazy river’s edge. We asked Ross how they pulled it off. I’m a stay-at-home dad. A few years ago, my wife and I made a lifestyle change so we spend much of our time on the road in a minivan. We live smaller to create experiences for our kids. Bart is a guide with Action Kayak Adventures and Ben is one of his clients. I’ve spent time fishing with Bart, but I didn’t know Ben. Why did you choose St. Johns River? I knew it was remote and we would do some remote camping. We wanted to raise awareness of Native American culture and the local Riverkeeper without raising our fists and yelling. By sharing our adventure on social media and my blog, we brought attention to the issues, like habitat loss, water withdrawals and pollutants, surrounding this river. Living and paddling with two other guys, I had to learn to get along. Bart and Ben were using a tent while I slept a hammock. We’d often paddle for miles looking for a good beach for the tent or trees for the hammock. Everyone has an opinion on every decision and it took us a few days to get on the same page. What was the biggest mistake? We should have planned the trip for later in the spring. The early season was still cold and the fish were hard to find. We were concerned about the alligators, so we figured cold water would keep us safe. But I’d rather have fish biting and take my chances with reptiles biting. What has been the fallout after completing the river? It’s amazing how far this story has traveled. We’ve brought attention to the river by raising awareness about its water quality via blogposts and social media. After coverage in the news and online, we heard from a lot of people who loved the story. One woman contacted us to share a journal her husband wrote from when he paddled the river in 1955. His adventure was different yet somehow similar to ours. Through time and cultures, this river connects many people. 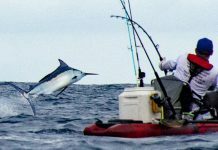 Previous articleIs It Better To Paddle or Pedal While Kayak Fishing?